British Driver Lewis Hamilton has won the F1 World Championship for 2017, his fourth triumph, and in the process becoming British most successful driver of all time. The win takes him above Sir Jackie Stewart who won three, and other British greats. The win, at the Mexican Grand Prix, wasn't straight forward though, as he clashed with Vettel, and both were demoted to the rear of the grid. He still managed to come 9th, while Vettel, who he was leading by 66 points, came 4th. The result was enough to crown him as the new F1 World Champion. 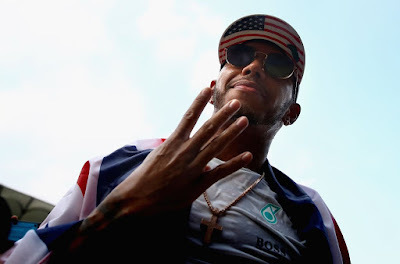 He is now level with Vettel and Alain Prost who have also won 4 world championships, and just behind Manuel Fangio on five and Michael Schumacher who has won 7. "Growing up in Stevenage, dreaming of being in F1. Being a four-time champion, it's so hard to describe. I was going back to when my dad put me in a boxing ring when I was young. I was bleeding but I kept going. I remember that moment today, decided that I was going to keep pushing." Hamilton won his first title in 2008 with McClaren, but moved to Mercedes in 2013. The moved brought with it a lot of criticism, because many felt he was disloyal to McClaren who had developed and stood by him during developmental years. In his defence, he said he believed McClaren was stuck and were no longer moving forward. Since the move, he has won 3 more Championships to the one he had with McClaren.